Join us tomorrow at the Webster! Bring the Kids! Looking for something custom for Mother's Day? 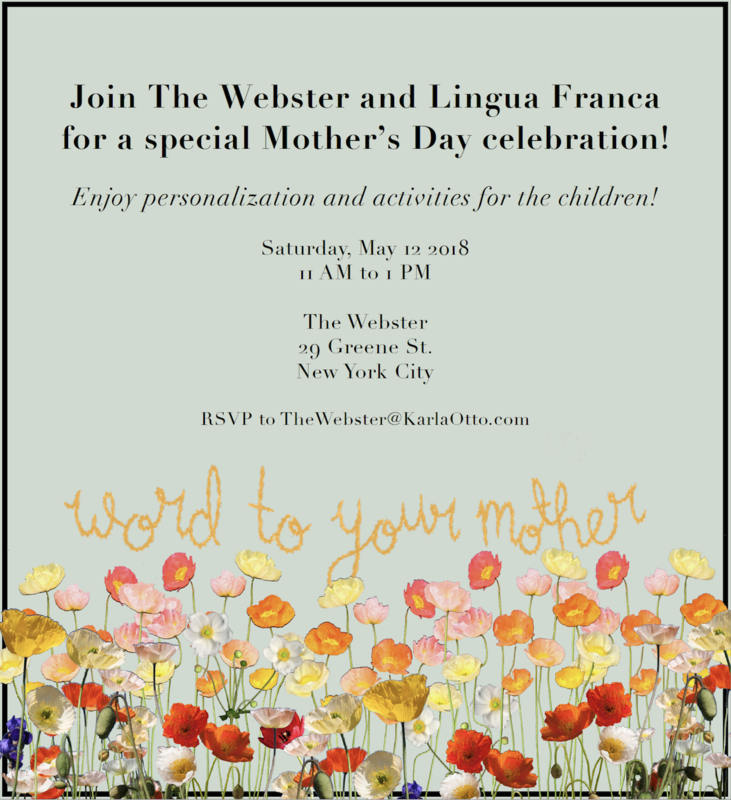 Email us at info@linguafranca.nyc to get yours started, or buy mom a gift card in any amount here: Gift Cards.